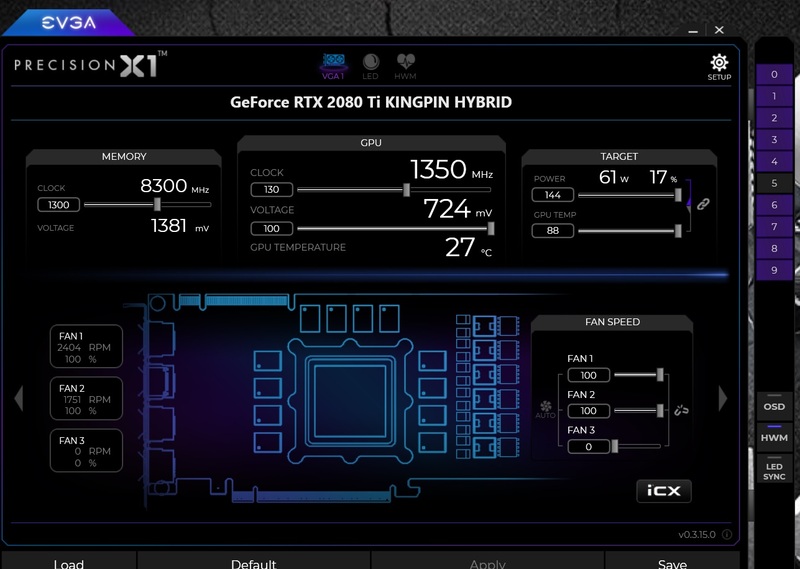 Home » All Forums » [Computer Hardware/Software] » Overclocking, Cooling and Benchmarking » 2080 Ti Kingpin bios flash for faster fan. I flashed my 2080 ti kingpin normal 77 bios to the LN2 79 bios to keep my safeties in place and man do these fans move now! Running on a green light now! I am up to 2160 RPM @ 90% under the OC Bios. But that is on Fan 1, Not using Fan 2 but can test it. 3700 rpm! how loud is that? Max Fans on LN2 bios saved under Normal bios position. Fan 2 = @ 1900 rpm high volume air sound, almost masks the high pitch wine. The noise doesnt matter when your crushing benchmarks and staying cool. So whats your take on, "'How loud is it?!" Cannot really say because my Servers and Fans are to loud to hear over. Fan Noise for me is OK I am after the Cooling in the end that is. I am running the Blower Fan at 80% giving me 29xx RPM, I can put my ear near it and can hear the fan. I have my Radiator Fans running Stock Fans at 2000 RPM and my Top 38mm Koolance Fans running at 2700 RPM. The 38mm Koolance Fans are Very Loud. I am glad that dwexpress posted about the LN2 Bois on the OC Bios for better Fan Control, I missed this in the Guide. And missed it in your first Post above, sorry. It is only 12°C in my back room with this Rig and going to Benchmark as much as I can with the Cold Weather today. Nice! I figured the bios removed the temp limit and not the actual switch position. Good bye "normal"! I did Flash the LN2 Bios to the OC Bios and now have Faster Fans. 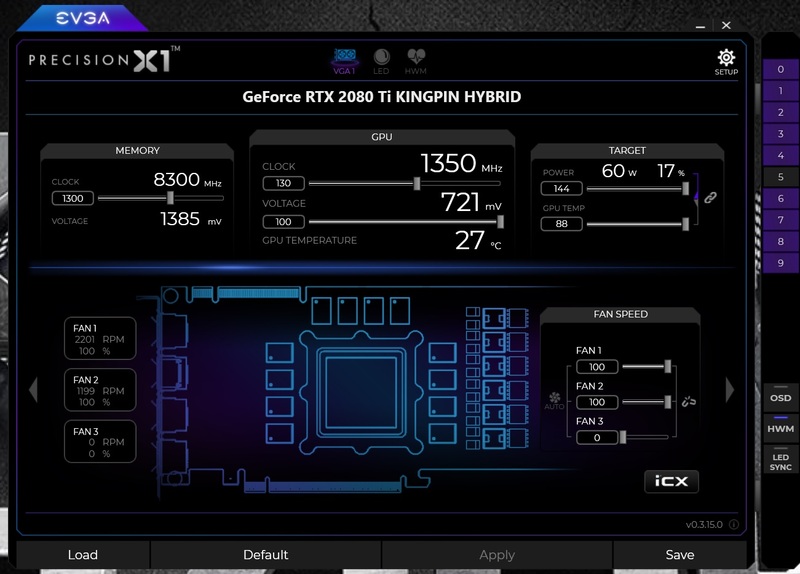 But this dose not remove the Temperature Limits and Safety , it only allows for full fan speed. LN2 BIOS switch have disabled temperature protection. This is crucial for LN2-type cooling, but totally unnecessary(and even dangerous) for watercooling/aircooling use. Using LN2 BIOS position is not recommended for daily use, but rather available for benchmarking purposes.